Hey everyone, I know I’ve been off the blog a bit recently, but I’ll be back with it over the next couple of weeks. 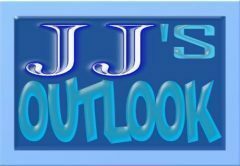 But more importantly, it has now been one year to the day since the blog website went live at jjsoutlook.com. I’m so very thankful for the support I’ve had over the first year of this blog, and for the people who have followed and supported it. I’ve had fun with it, and I’ve enjoyed sharing my writing with everyone who wanted to read it. And you can trust me when I say I’m going to continue with the blog. I’ll be here for another year, and hopefully many more to come. So please continue to share the blog. Get whoever you can to read and subscribe. There’s no cost for subscription, all you have to do is just enter your email address at the bottom of the blog website to subscribe. And with subscription, you get the added bonus of being the first to know when a new post goes up, before I go and post the link on social media. So keep reading, share, subscribe, and I’ll be back very soon. Here’s to another year of JJ’s Outlook!